Joan loved animals, and while living on the farm in Illinois, took in many cats and dogs that were abandoned by their owners. For Joan Young, there was no greater gift in her life than her faith. It was her faith that provided the strength she needed to face various trials that came her way, and it was also the same faith that was the reason for the joy that was in her heart. A loving wife and devoted mother, Joan was filled with unspeakable joy to witness her family tree blossom to include the grandchildren and great-grandchildren she adored. She enjoyed a life filled with so many amazing experiences, but what made these truly extraordinary was sharing them with others. Although Joan will be deeply missed, her family finds comfort in knowing that she is enjoying perfect peace in her eternal home. The 1920s were an exciting time in American history. Technology brought new innovation in things like radios, refrigerators, and motion pictures in both color and sound while cars that were mass produced on assembly lines made them more affordable for the average American. 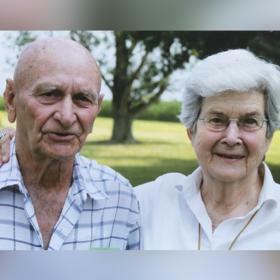 Amidst this exciting time was a time of great joy in the lives of Harold and Pansy (Youngblood) McKenzie as they announced the birth of the baby girl they named Margaret Joan on September 23, 1928, in Brazil, Indiana. As the youngest of four children, she was raised in the family home alongside her siblings, Charles, Naomi, and Warren. Joan, as she was always known, was a typical young girl of her generation and always fondly spoke of her childhood. Her father was very proud and brought her everywhere, and she was very close with her siblings throughout her entire life. From the time she was a young girl Joan was a bustle of activity. They always had dogs growing up, which is how she developed her genuine love for animals. Joan became good friends with Rhea while growing up, and she later became Joan’s sister-in-law when she married Joan’s brother. Joan's dad managed clay plants in Indiana, Ohio and Pennsylvania, so she moved a couple of times through childhood. However, they returned to Indiana when her father became sick. Being back in Indiana allowed them to be near family during this difficult time, and they lived with her aunt. Her mother began working as a housemother for a sorority in Syracuse New York and at Hanover College in Indiana. Joan attended local schools, eventually graduating from high school in Indiana. New and exciting changes were in store for Joan when she met a young man named Joseph "Joe" Robinson. They met at a gathering following the end of World War II, and although he was from that area he was living in Arizona at the time. Joe was about 11 years her senior, and sparks flew right from the start. After a short courtship, the couple married at Brazil Christian Church in 1947, and then moved to Arizona. They spent their entire 32 year marriage living in Arizona, first in the Phoenix area and then for about six years in Flagstaff. Together they welcomed three children into their hearts and home. While her husband worked, Joan was able to remain home to care for her home and family. She kept things neat and organized, and she was also an amazing cook thanks to the skills she learned from her mother. Joan never really needed recipes, she just knew how to make things that tasted good. Joan also liked baking. The family enjoyed many vacations together including some back to see family in Indiana as well as vacations to California. Sadly, Joan’s husband, Joe, passed away in 1981 after 32 years of marriage. About three years after Joe passed away she decided to go on a trip with her church. This proved to be a fateful trip as she met man named Dale Young on that trip. He was a farmer from Illinois. A bit later, Joan went to visit Dale, and they married on September 28, 1988 in a ceremony in Hawaii. She truly loved living on the farm, and she was the one who cut the grass on the riding mower. 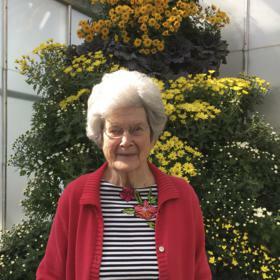 Wherever she was living throughout her life she loved gardening. Joan frequently planted pansies as that was her mother’s name. Joan and Dale enjoyed traveling during the winter, spending some time in Florida. As a grandmother, she frequently spent time with her grandchildren as she watched several of them while their parents worked before they were old enough to go to school. They all made amazing memories together during this time. Joan’s grandchildren later enjoyed coming to the farm to visit, especially since they had so many animals. With a deep love for animals, Joan ended up taking in so many pets that people left along the roadside. Throughout her life Joan was one to keep busy. She had a deep faith and was raised with strong Christian roots. Wherever she lived, Joan was involved in the local church and often a part of the women's groups there. Joan regularly read her Bible, and her favorite passage was Acts 2:38. She was a music lover who always had music on in the house whether it was light classical, show tunes, or religious music. Joan was also an avid reader who was a regular member of a book club and had a large collection herself. Mysteries were one of her favorites. Joan had many friendships throughout her life, but she did prefer to have a few close friends rather than large numbers of friends. After Dale passed away in 2013 after 28 years of marriage, Joan’s family realized that she needed someone to help care for her. She set a wonderful example of this very thing by caring for both her aunt and her mother during their later years. Joan’s children followed her lead so she spent three years living in Littleton, Colorado, with her daughter and son-in-law, Melissa and Royce. This past year, she moved to Grand Rapids and lived with Doug and Carol, and she then spent the last 10 weeks at Covenant Village of the Great Lakes. All who knew Joan Young would agree that she was truly beautiful on the inside and out. She was anchored in her faith and filled with compassion for the people and animals around her. Joan was never one to worry about the little things, rather, she counted it all as joy. She was known to speak her mind at times, but it was always in a kind way. Deeply loved, she will be forever missed. 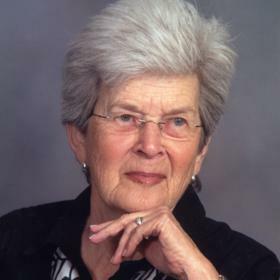 (Margaret) Joan Young passed away in Grand Rapids, Michigan on March 1, 2018. 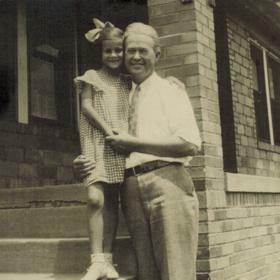 Joan was preceded in death by her parents, her brother Charles and wife Barbara (Bobbie)McKenzie, her brother Warren and wife Rhea McKenzie, her sister Naomi and husband Lloyd Coppack, and brothers-in-law George Smith and Glen Young, sister-in-law Mary Hardy and husband Fred, and beloved granddaughter Allison Smith. She is survived by her children: Melissa (Royce) Smith, Doug (Carol) Robinson, Lindsay (Bob) Thorp, Rhonda (Martin) Eiberger, Bob Young; 9 grandchildren,11 great-grandchildren and several beloved nieces and nephews. The family wishes to thank the following caregivers for the love and attention they gave Joan: Sarah Care adult daycare, Covenant Village of the Great Lakes and Anita McKenzie. Donations in Joan’s honor may go to Young’s Chapel Christian Church, 3225 Red Stripe Rd., Salem, IL 62881, or your local humane society.